Thank you for your interest in the San Rafael Swell Mountain Bike Festivals. From the beginning, the Festivals have been geared to a wide-range of mountain biking enthusiasts – from the novice to the seasoned; from the occasional to the frequent; from the single rider to the family of riders; and from the rider(s) whose sole interest is the picturesque surroundings to the rider(s) whose sole interest is in the merits of the bike. 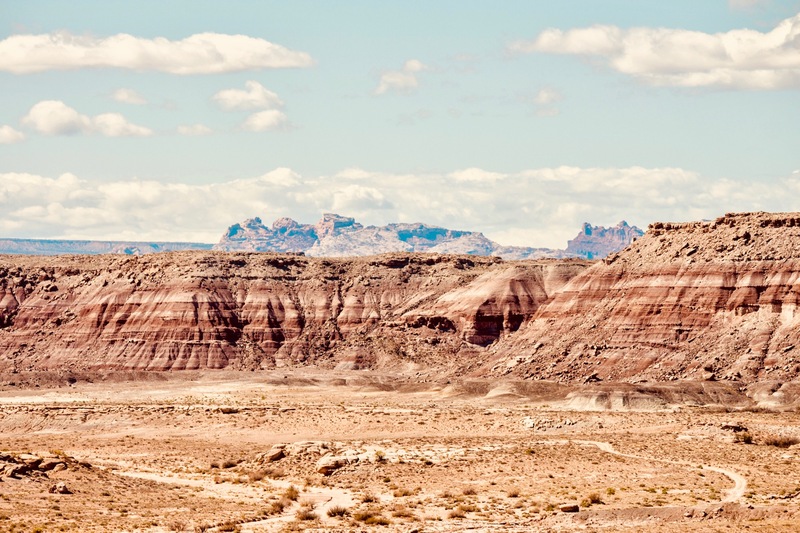 Rides vary in degree of difficulty, each offering a different perspective of the beautiful San Rafael Swell. There really is a ride for every interest. The Festivals provide not just a biking experience but opportunities to learn of others’ interest in riding – whether it’s during a “pit stop” along a ride, the evening-before-the-rides pasta dinner and drawing or during the after-the-rides Dutch-oven cookout and stories around the campfire – there’s time to learn from others. When you ride the unfamiliar, you’ll want to be guided thru the experience. MECCA club members take pride in “pampering” their Festival guests. Got a question about some aspect of the event (When’s lunch? Why does my bike….? How much further ’til we get there? What’s that formation called? Where can I buy supplies? ), a club member will be identifiable and not too far away. Also not too far away are the “sag wagons” with emergency personnel and supplies (they’re also there to give you a lift if you tire before the end of the planned ride). We even provide an “on-duty” mechanic for minor bike fixes. So come to the “REAL” Castle Country and ride with us… You’ll have a “SWELL” time.